Most Internet users have found them in their e-mail inboxes at one time: those messages giving the news that they've won or inherited millions of dollars from overseas. Most people delete them. But sometimes, the federal government says, recipients fall victim to an Internet scam. Channel 4 News learns that the head of a London-based evangelical church with 3,000 congregation members has been charged with indecent assault on a child under 16. The Nigerian came off the bench with seven minutes of normal time remaining, and in the 89th minute capitalised on a calamitous mix-up in the Arsenal penalty area to tap in the goal which lands the Blues only their second ever major trophy. Nikola Zigic had headed the Blues in front near the half-hour mark to send fans of the underdogs into raptures, only for Robin van Persie to equalise with a stunning volley 10 minutes later. A senior executive at his father's company, Paddy Adenuga is, unarguably, the most popular of the brood of Globacom chairman, Dr. Mike Adenuga. Sunday Sermon: Jesus & New Zealand Christchurch’s Earthquake: Act of God ? Whatever's going on...the Earth Is Shaking! Shaking like never before!! Causing people to open their eyes. It was a scene. Everyone was stunned; the unexpected had happened. As the man and his bride were just about to be joined, at the Ikorodu Registry, his legally married wife stepped in with her lawyer and spoilt the show. The advertisement in most national dailies some years ago entitled “Can Buhari be trusted to stop Repression?” showed that some highly placed people were long afraid of General Buhari. The Buhari phobia can be diagnosed in a particular group of people- those haunted by the past. His administration, to many morally analytical minds, was one that brought sanity into the country. But to the morally bankrupt and lethargic "indisciplinarians", it precipitates nightmares. PIQUED by the inability of the Federal Government to fix the dilapidated Benin-Ore-Lagos road despite several years of complaints by road users, Oba of Benin, Oba Erediauwa yesterday walked out the Minister of State for Works, Chris Ogiemwonyi, from his palace, saying that he would not be welcomed in the palace again until the road was fixed. 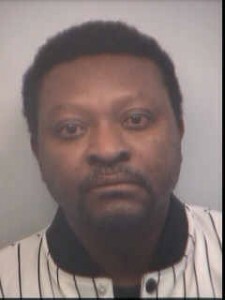 Maximillian Ezimora, a Nigerian residing in Atlanta Georgia has been arrested for shooting his wife, Uchenna Ezimora, five times. Mrs. Ezimora, a registered Nurse described as very industrious, survived the shooting and receiving treatment at an Atlanta Hospital. It is not immediately known if her condition is critical. Sleep paralysis disorder is a serious sleep condition in which the sufferer feels incapable of movement. A person affected with sleep paralysis will usually experience the feeling that they are unable to execute voluntary physical movement at the onset of sleep - the hypnogogic period or just when waking - the hypnopompic period. Sufferers of paralysis sleeping disorder complain that they are unable to move their legs, arms and trunk upon waking or at falling asleep. Ten month-old Enioluwa Odegbaike who went missing two weeks ago from his parents' home in Magodo, Lagos has been found. According to a member of the Odegbaike family, he was found this morning in the border town of Badagry in Lagos. "Yes he has been found. He is fine and he is in good health," he said. A female member of the family, who identified herself as Ibukun, confirmed that the baby has been reunited with his family. Ten month-old Enioluwa Odegbaike who went missing two weeks ago from his parents' home in Magodo, Lagos has been found. According to a member of the Odegbaike family, he was found this morning in the border town of Badagry in Lagos. "Yes he has been found. He is fine and he is in good health," he said. The Senior Staff Association of Nigeria, as well as Non Academic Staff Union of the University of Benin protested today and shut down the university. They closed all the gates leading into the university. The protest resulted in a heavy traffic jam on the Lagos-Benin highway. Students are protesting violently in Ife (Obafemi Awolowo University - OAU) and the university has been shut down indefinitely for now.